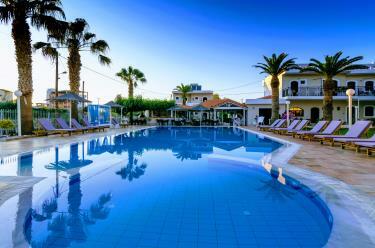 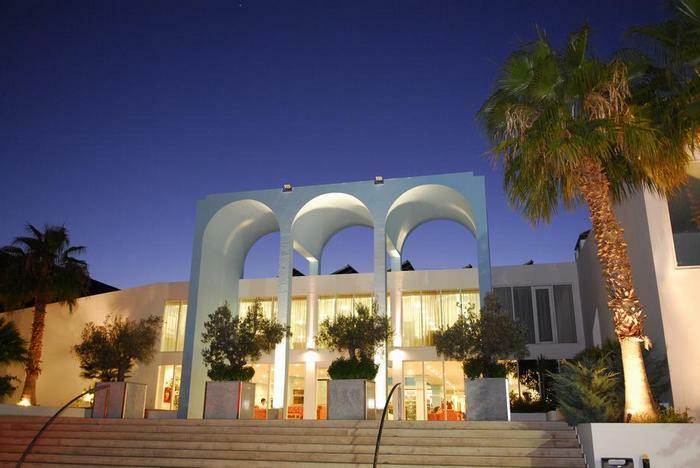 Stelios Gardens Hotel is located in the vivid settlement of Malia, 230m from the beach. 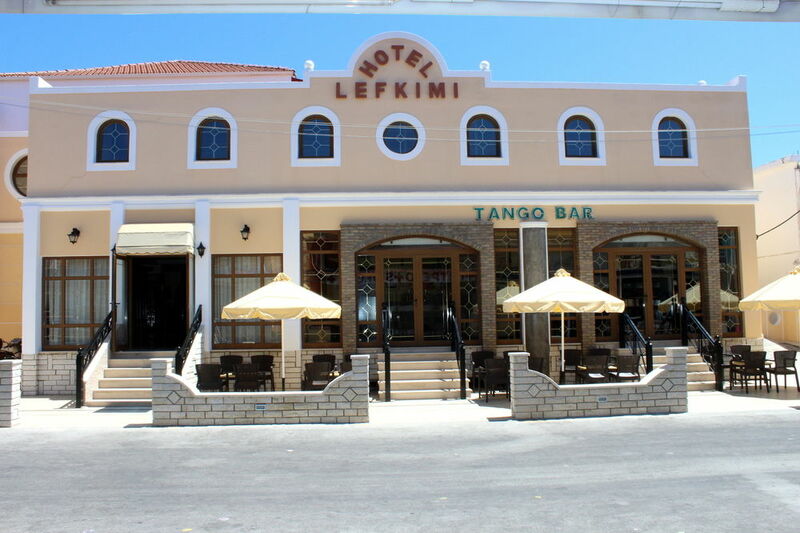 Also in a walking distance from the property, there are numerous options for entertainment, dining and shopping. 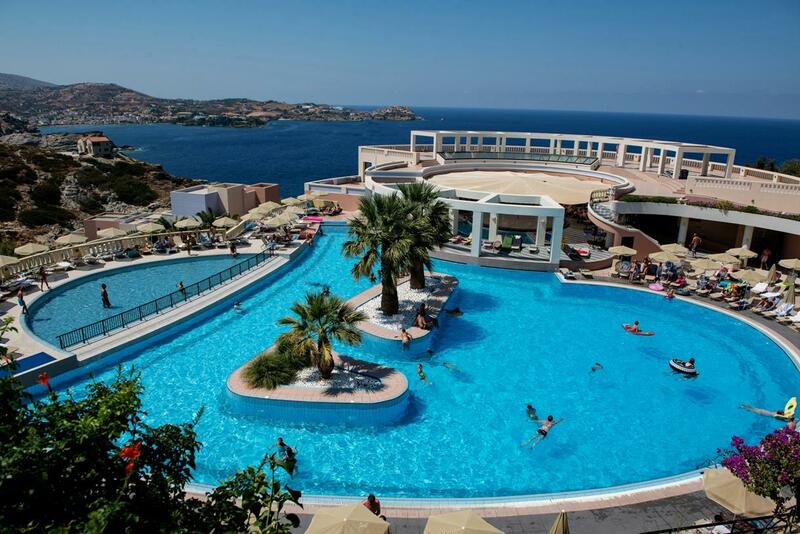 Horizon Beach hotel is situated on the picturesque bay of Stalis in Hersonissos village. 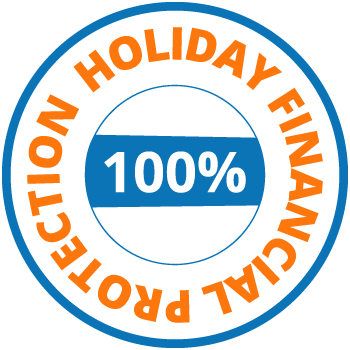 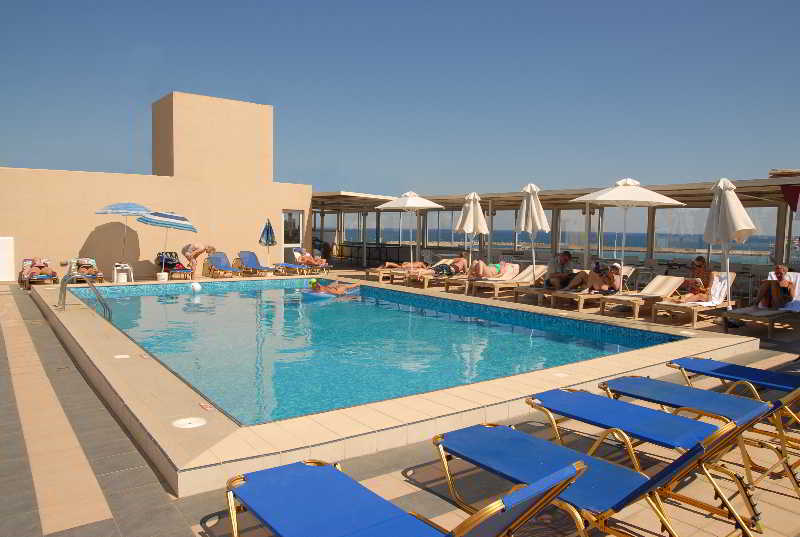 It is ideal for an enjoyable holiday in Crete. 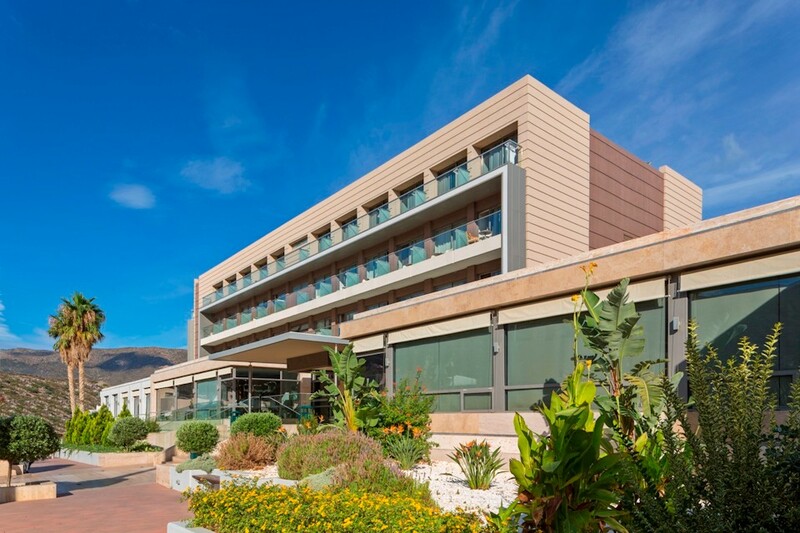 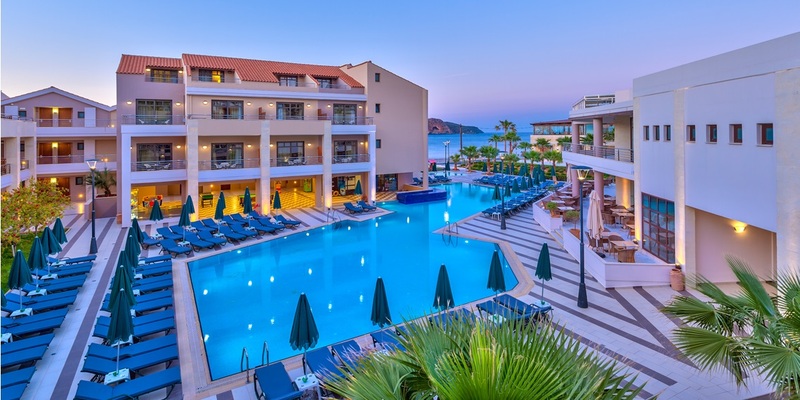 The excellence of facilities together with the well-trained and passionate personnel ensure that the Mitsis Laguna Resort & Spa has now established its presence on the island of Crete. 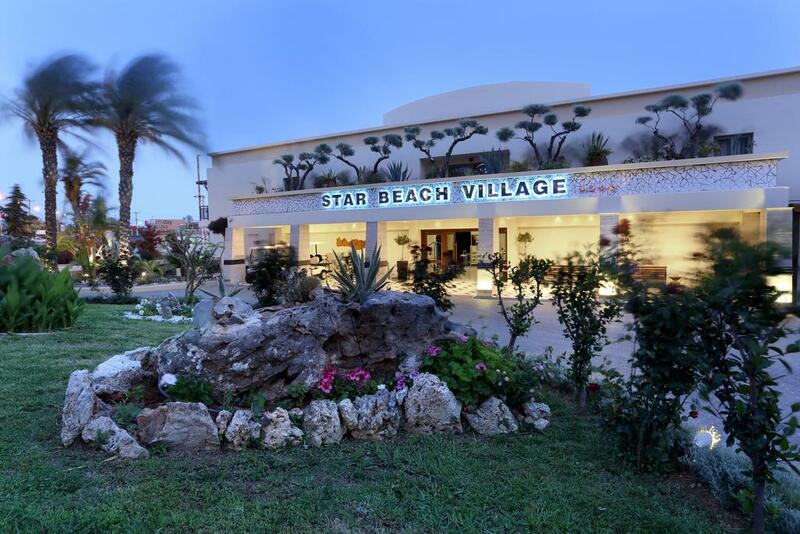 This beach hotel is designed to offer ultimate pleasure and recreation and promises you a holiday experience of the highest quality, ensuring a satisfying and memorable stay. 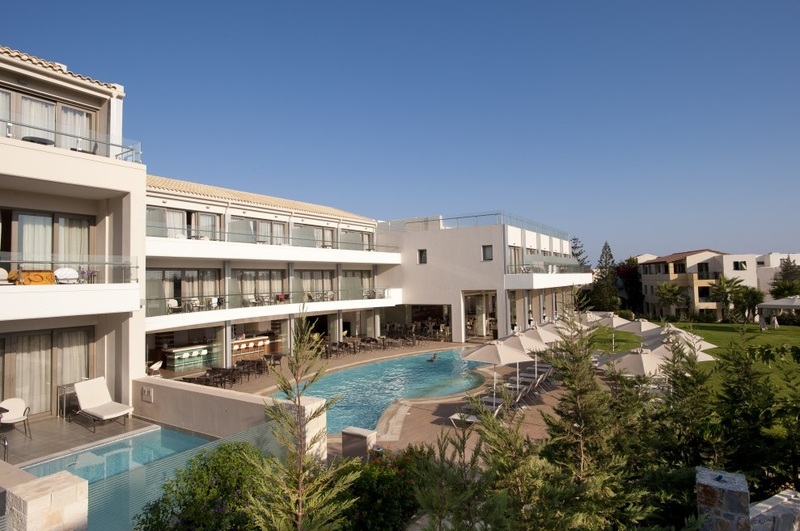 Set on a hillside, the Imperial Belvedere Resort Hotel has one of the best locations in Hersonissos, with the beach just a few meters away, and shops, bars and restaurants within easy reach. 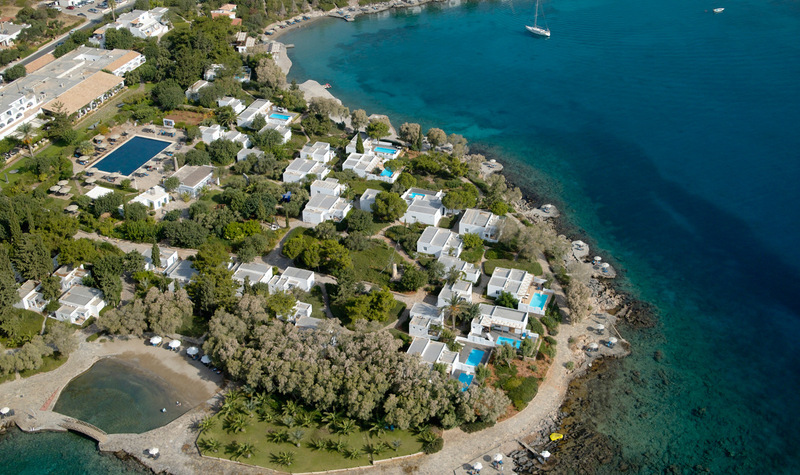 The Royal Belvedere enjoys a hill-top location at Hersonissos, surrounded by lemon, olive and palm trees. 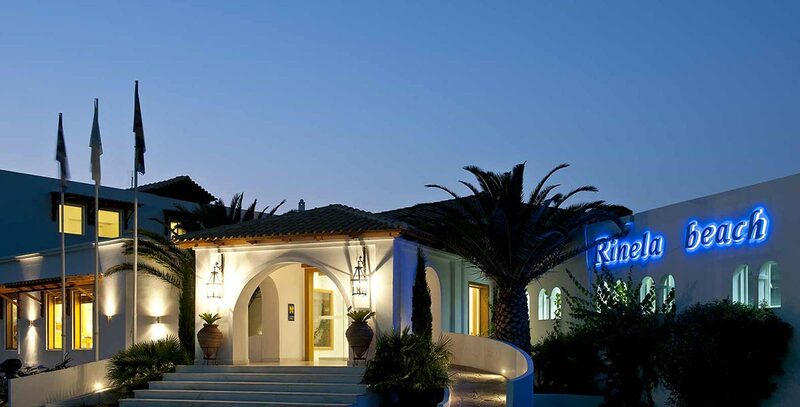 Minos Beach art hotel is a nature beachfront hotel in Agios Nikolaos, Crete located right on the water's edge. 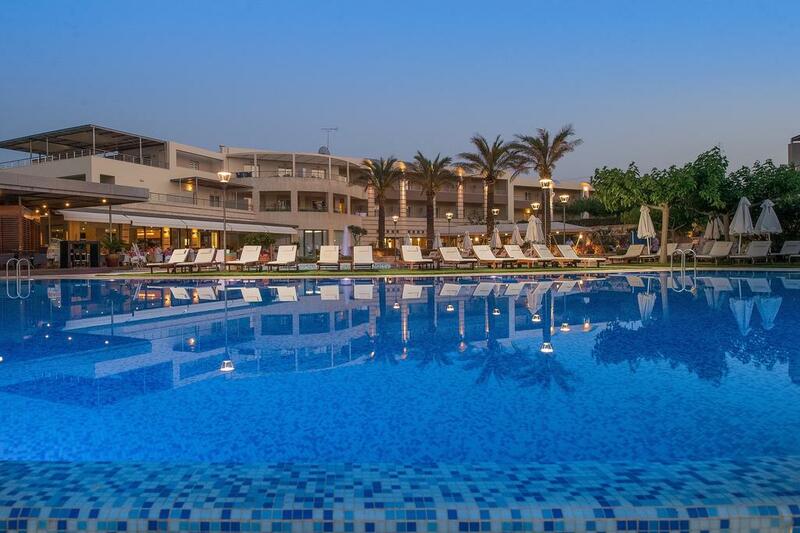 Mitsis Rinella Beach is a stunning hotel in a superb location in the popular resort of Kokkini Hani, just a few km far away from Heraklion city. 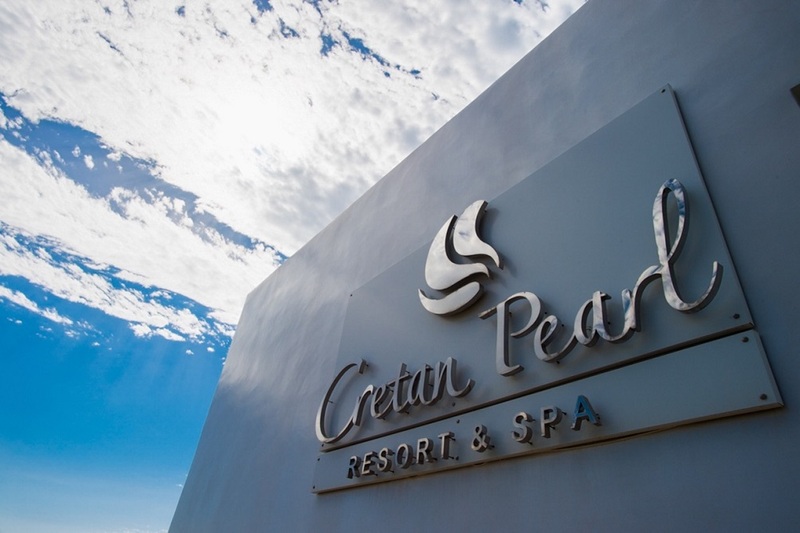 Designed for the discerning traveler, Cretan Pearl Resort & Spa boasts delightful accommodation selections with different facilities mixing together in order to make your holidays unforgettable. 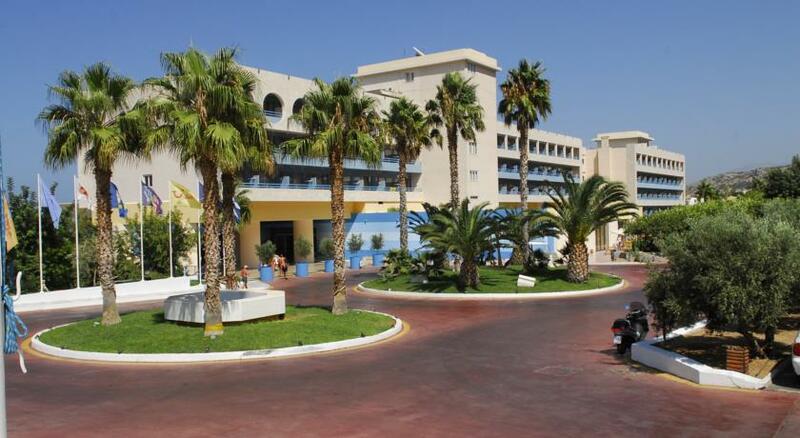 The Hotel “CHC Athina Palace Resort & Spa” is amongst the best that Crete has to offer. 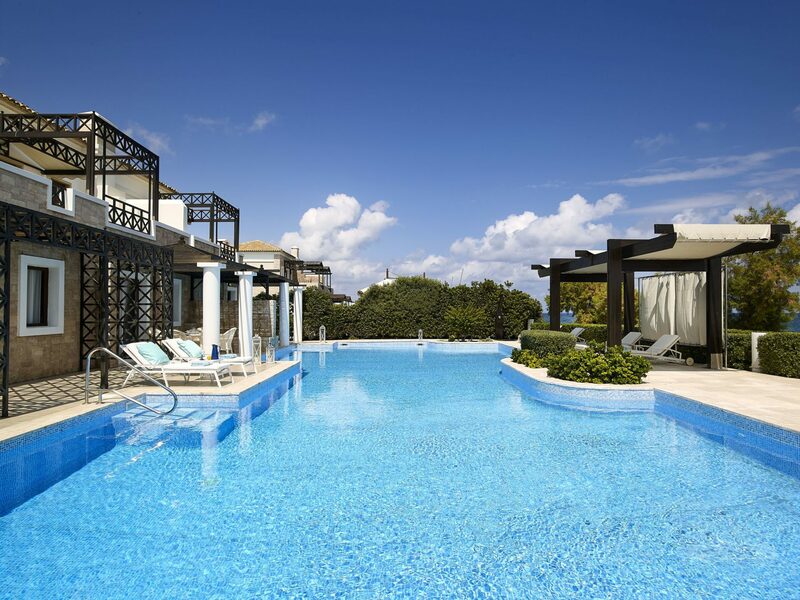 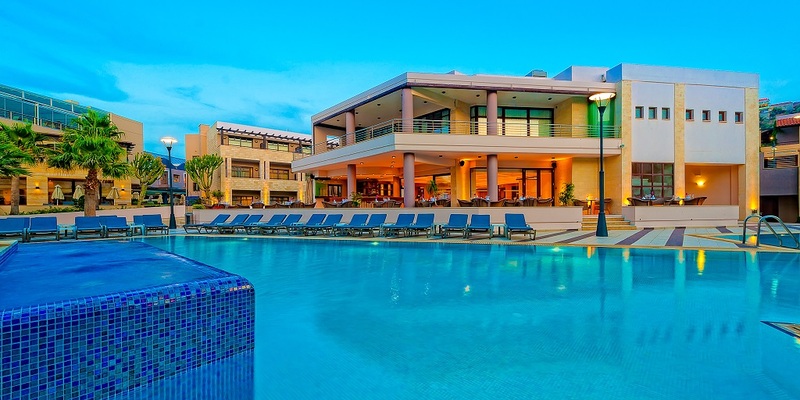 You will truly enjoy every day of your holiday in this special place. 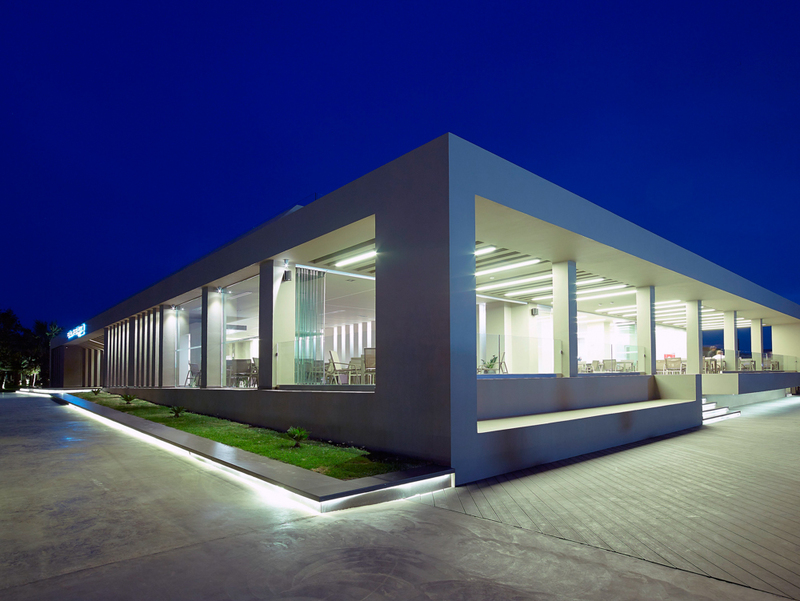 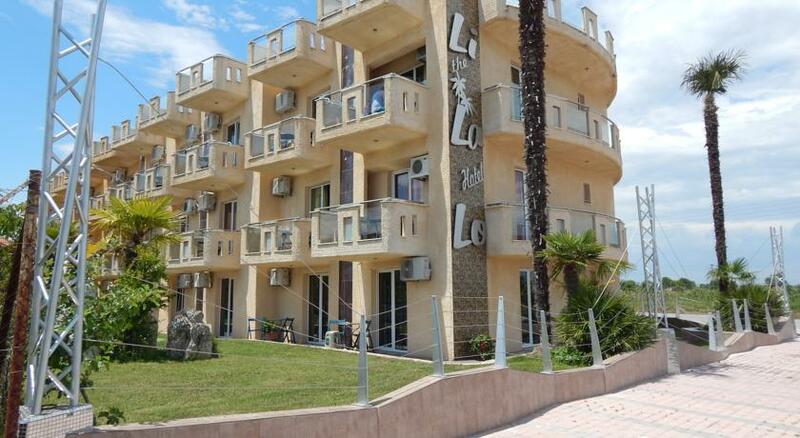 This delightful set of apartments enjoy a strategic setting in Anissaras. 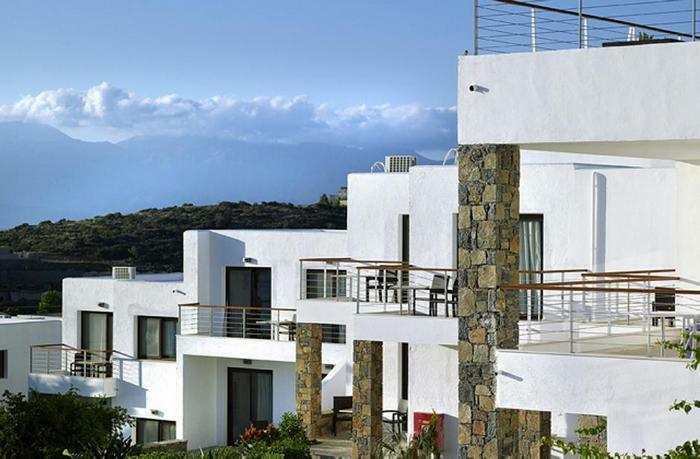 The complex is situated within easy access of the tranquil beach, the Aegean sea, the historical town of Hersonissos and the Kasteli golf course. 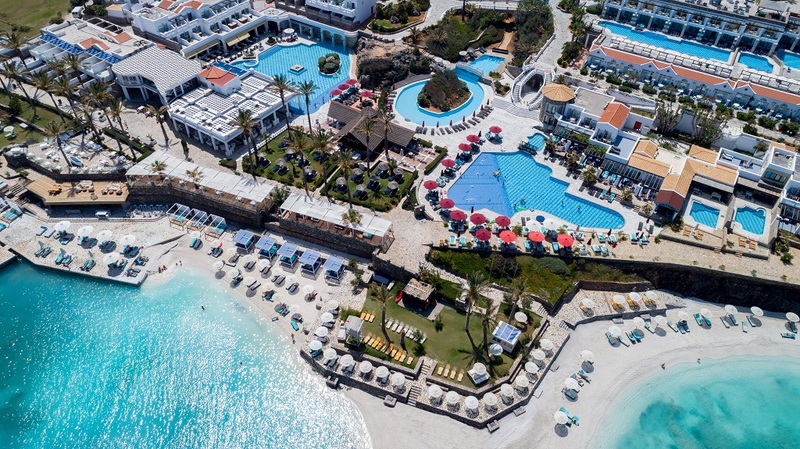 Pilot Beach Resort offers a unique combination of tradition, hospitality and luxury with the comforts of a state of the art hotel. 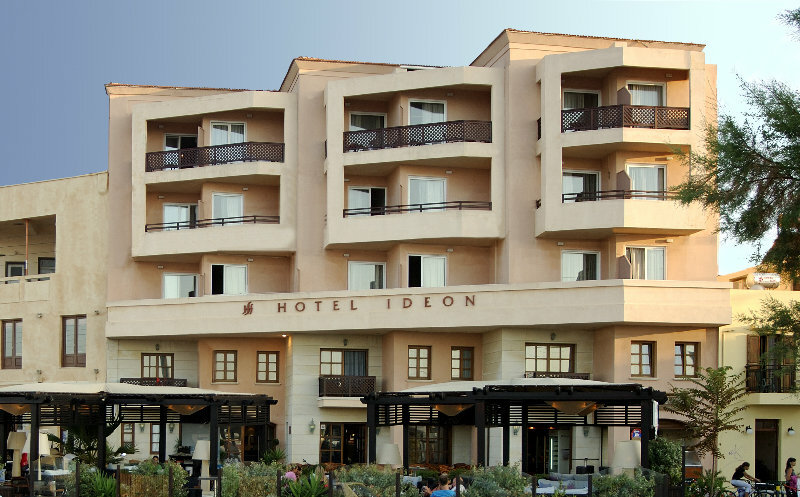 The Elounda Ilion Hotel is built on a hill with panoramic views over the bay of Elounda. 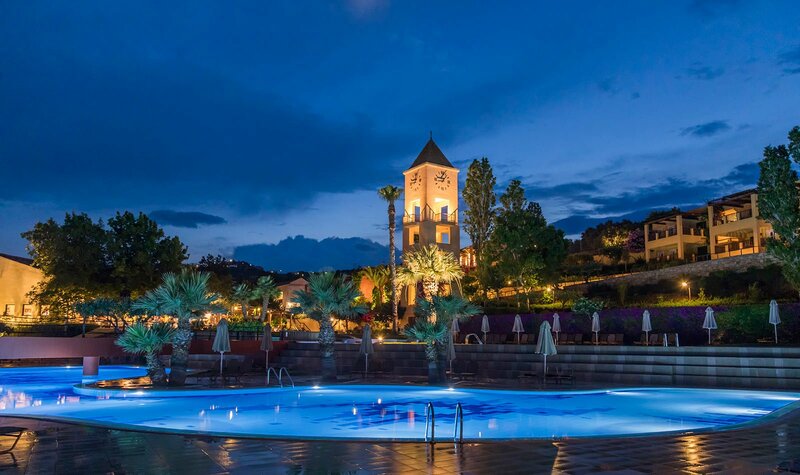 The site was designated as a place of great natural beauty and is considered one of the most beautiful and quiet resorts of the Mediterranean. 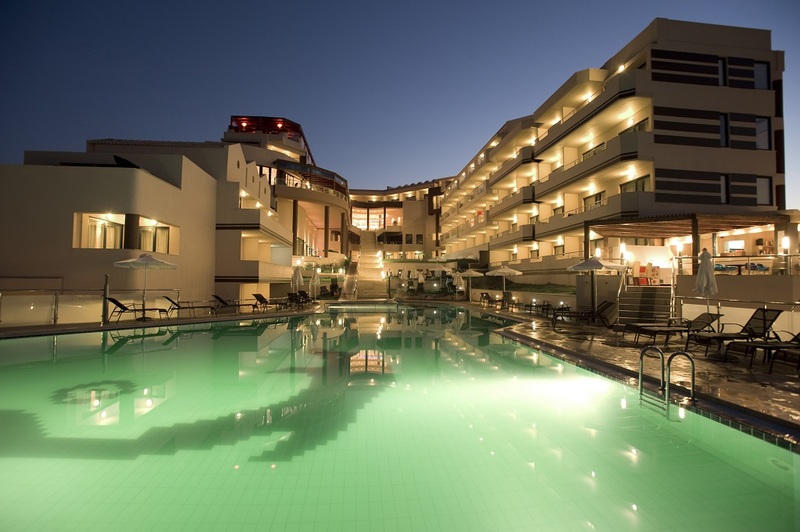 This hotel enjoys an idyllic setting, nestled in the enchanting surroundings of Rethymnon. 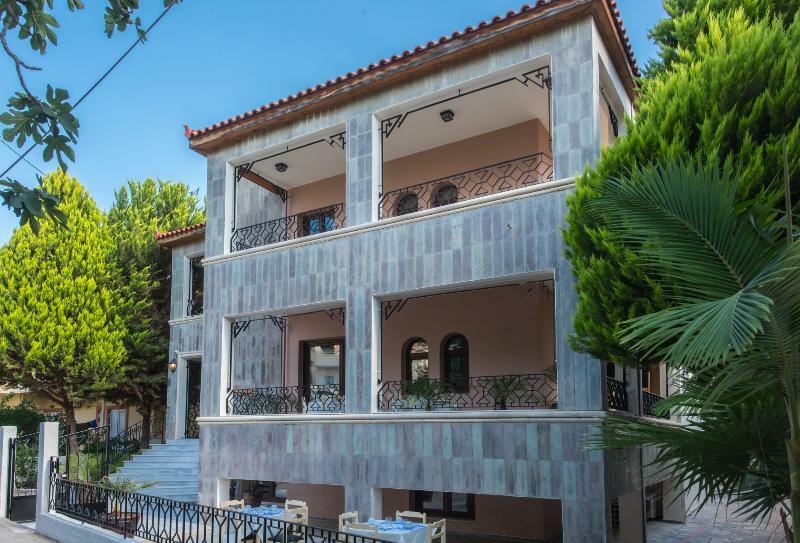 The benefit of upgraded services in combination with the luxury, the Cretan hospitality, the aesthetics, and the beautiful environment make the guests' stay comfortable and unforgettable. 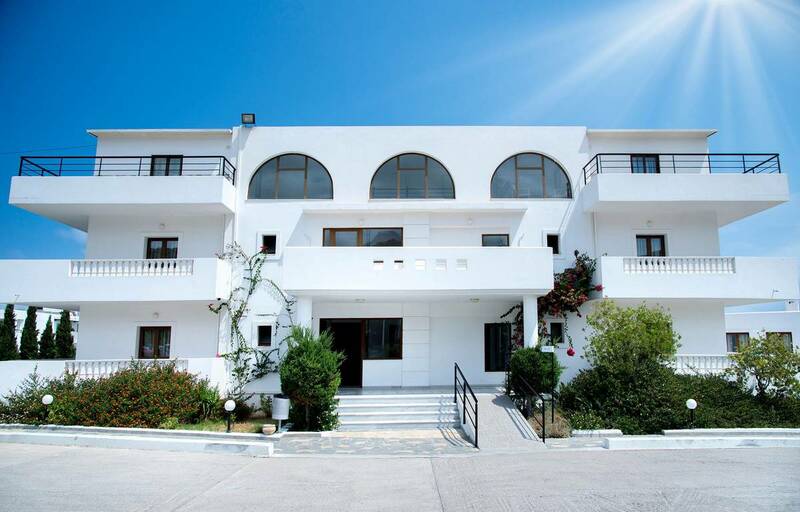 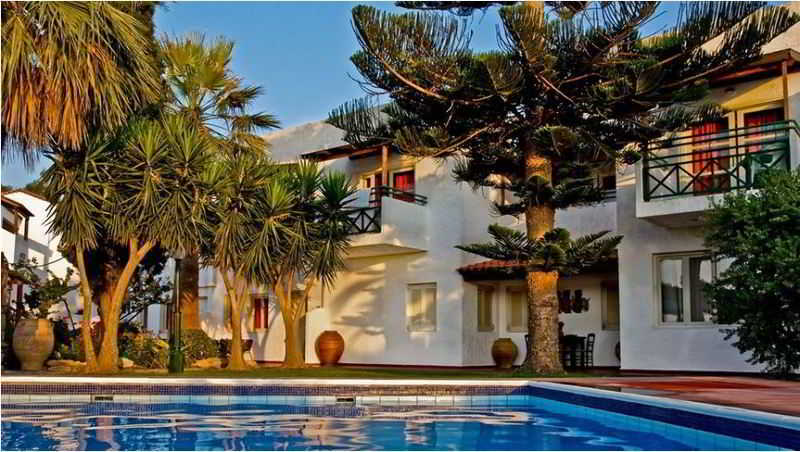 The Amalia Studios & Apartments is an exclusive family run resort and therefore offers only a select number of rooms. 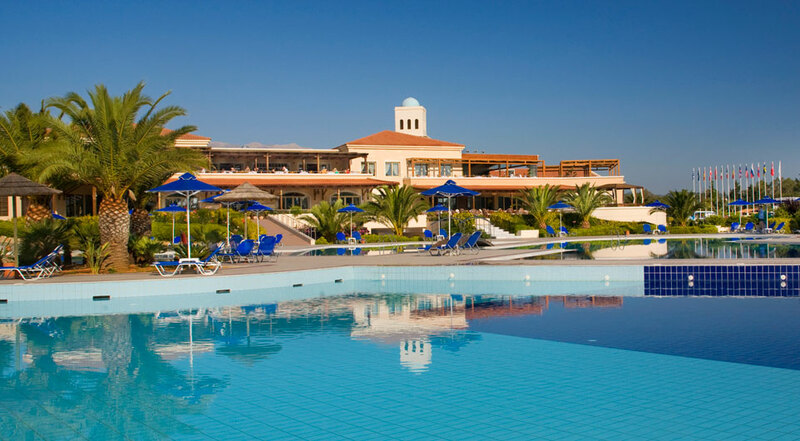 Aldemar Royal Mare, a 5-star resort in Hersonissos of Crete, features all the attractions and comforts you would expect from a luxury hotel, along with top notch service. 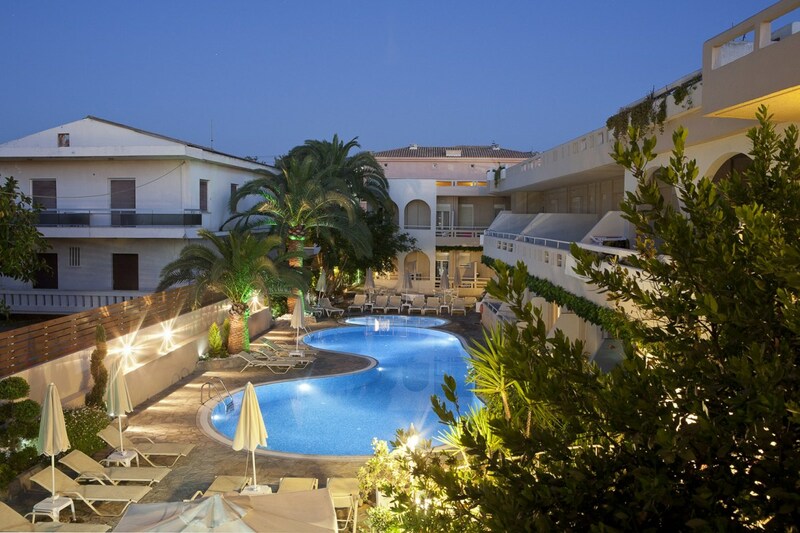 Just 100 m from a sandy beach, this hotel is located in the pretty seaside village of Platanias, only 6 km east from the historic town of Rethymnon. 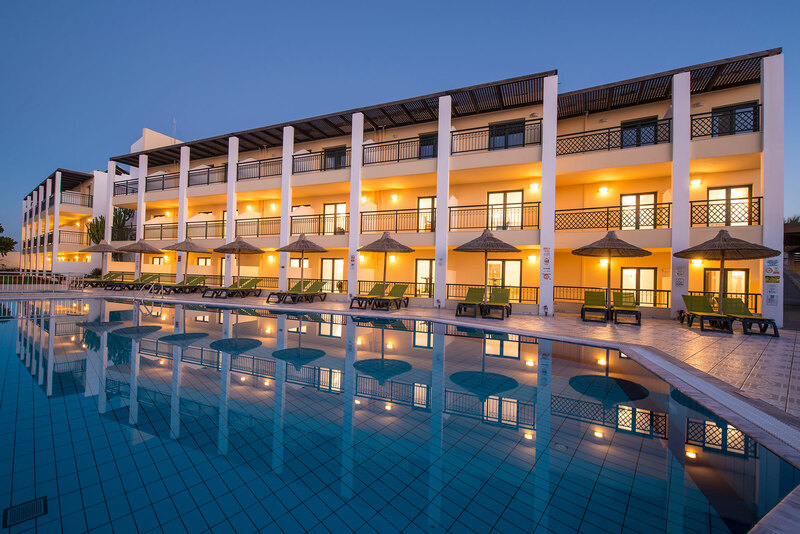 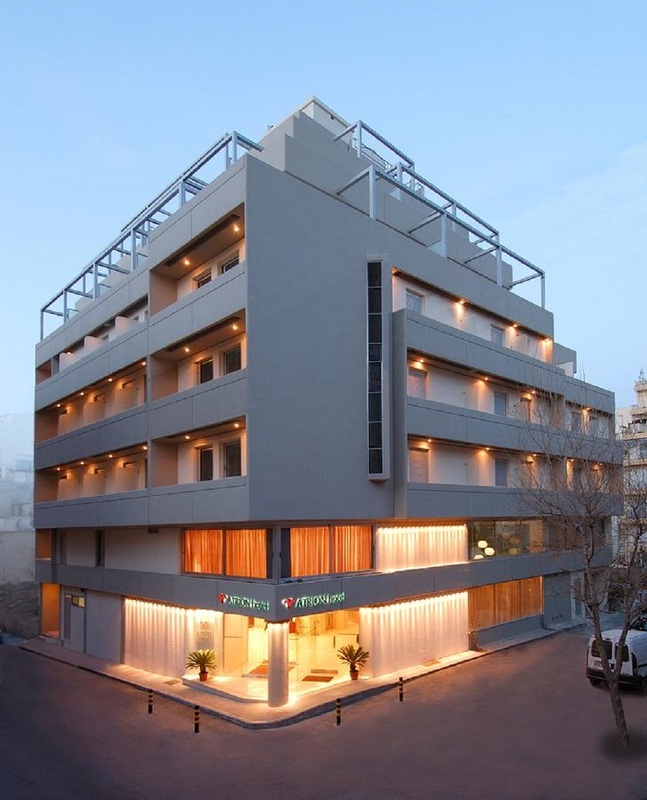 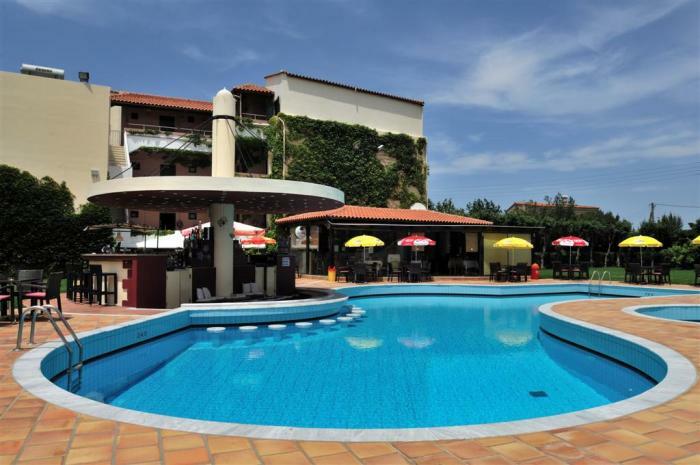 This 3-star hotel, in the heart of Malia, is perfectly located to explore the many attractions of this lively resort, as well as the surrounding area in the north of Crete.